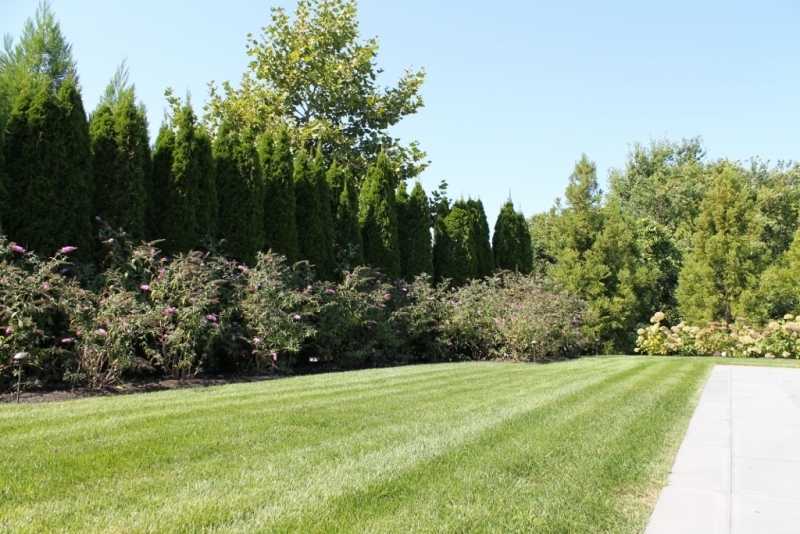 Set on a secluded lot away from the bustle of downtown Chatham, this home is a true oasis. 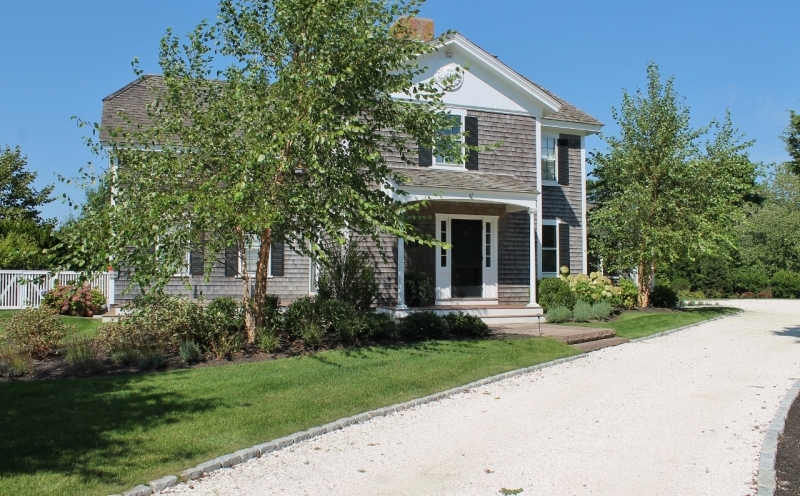 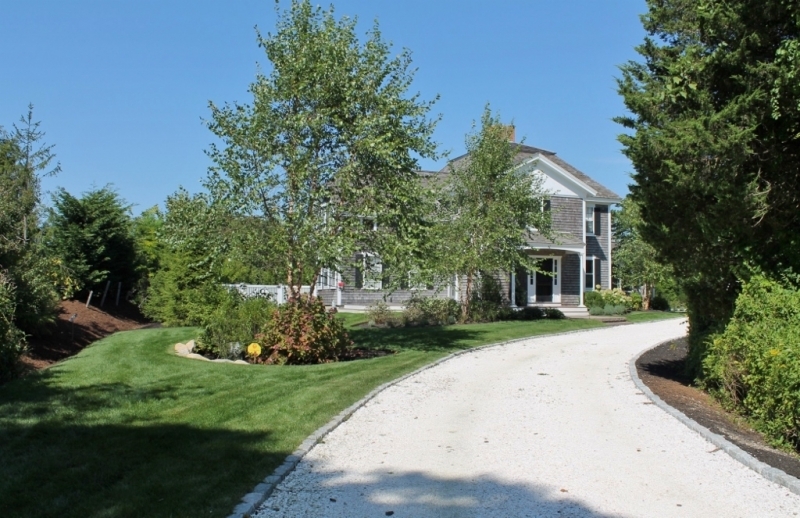 We began the landscape design with long driveway,topped with clam shells and finished with a granite brick berm, which includes a curve so that the home isn’t visible from the street. 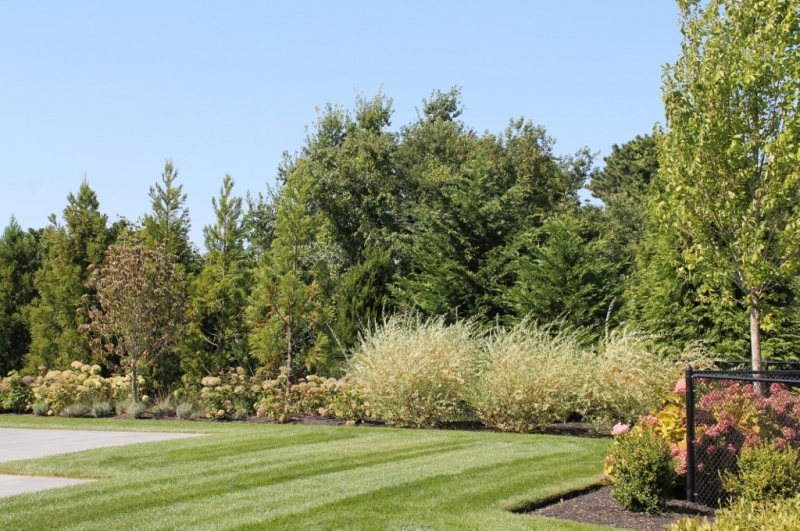 A circular perennial bed with a birch tree adds a focal point to the front lawn. 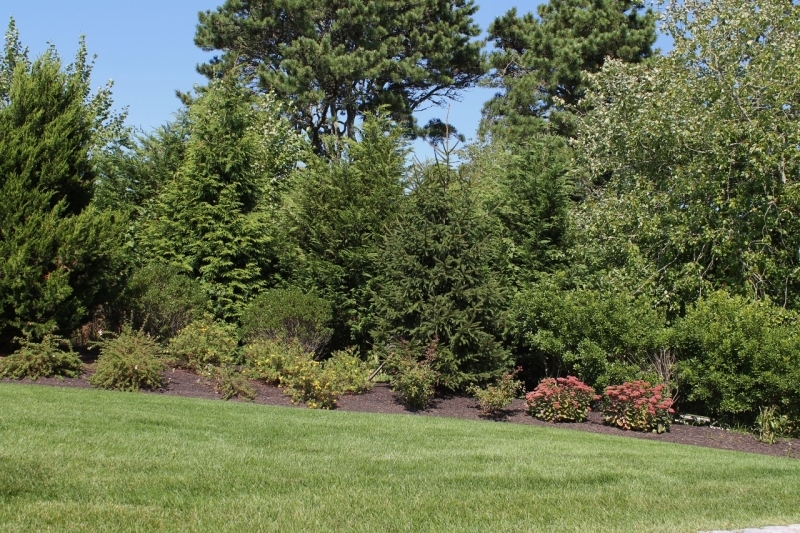 Additional perennial beds, one of which also includes a tree, add visual interest and balance to the front of the home. 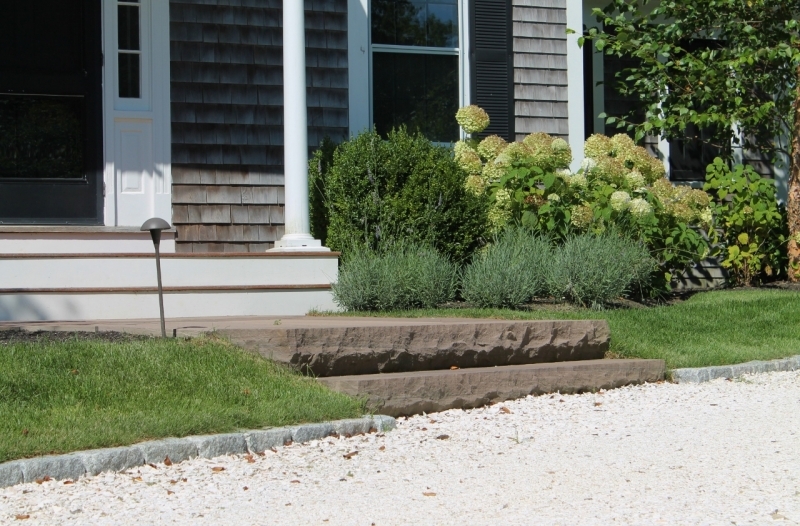 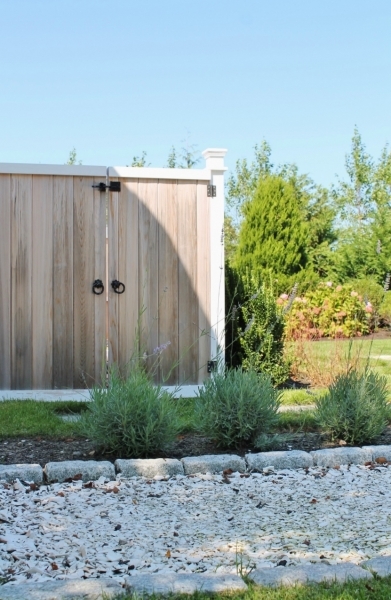 At a side entrance we added a row of fragrant lavender alongside the clam shell path leading to the door. 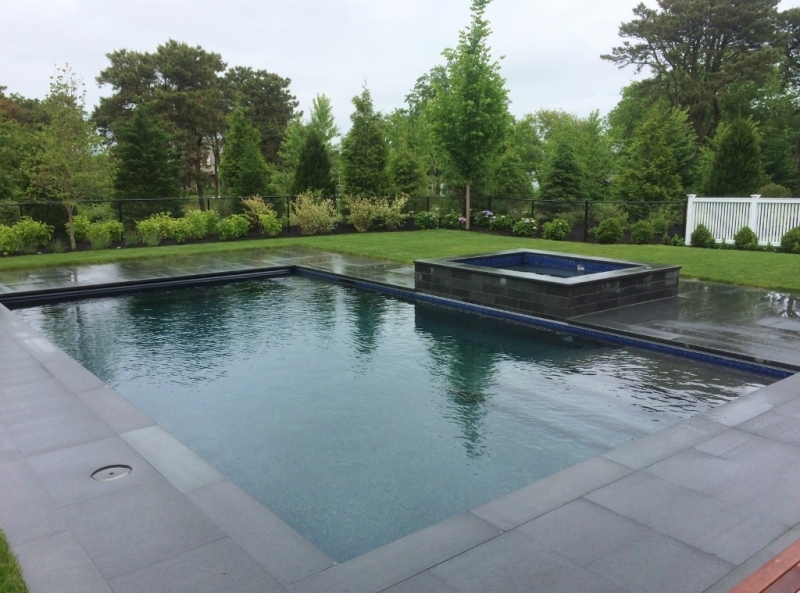 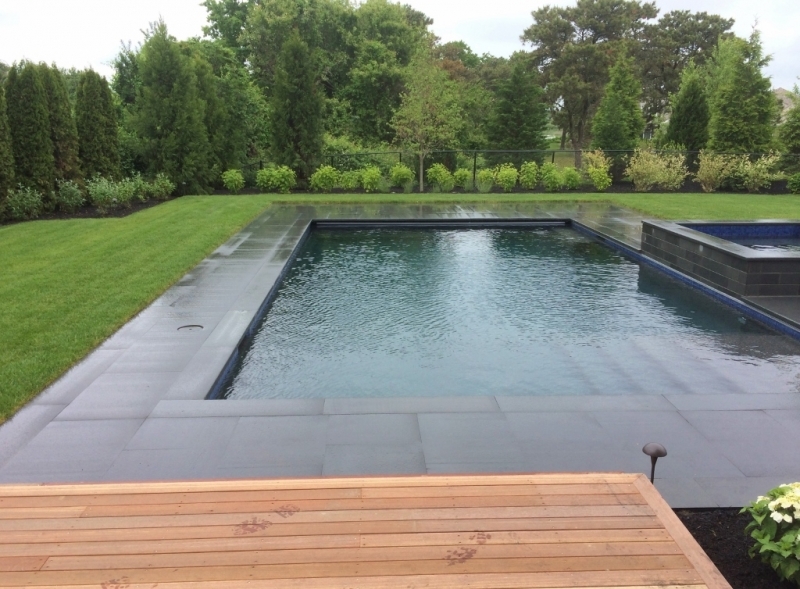 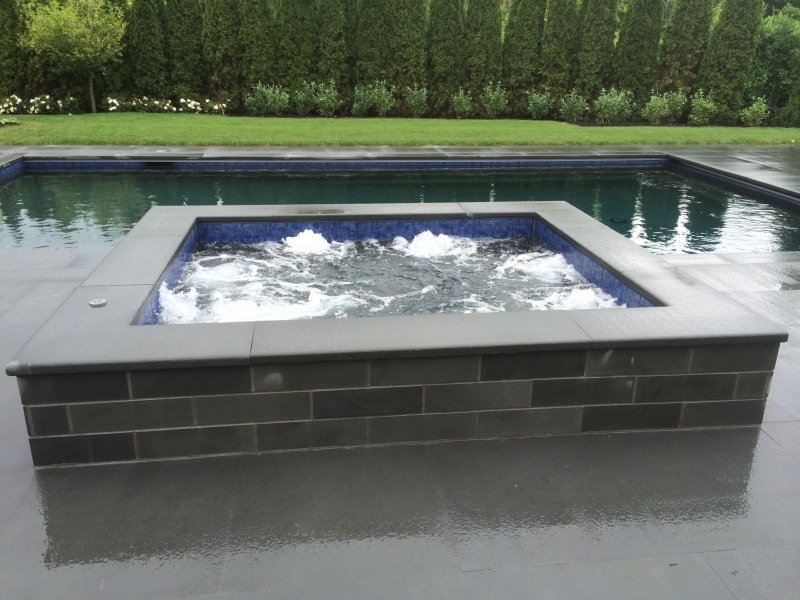 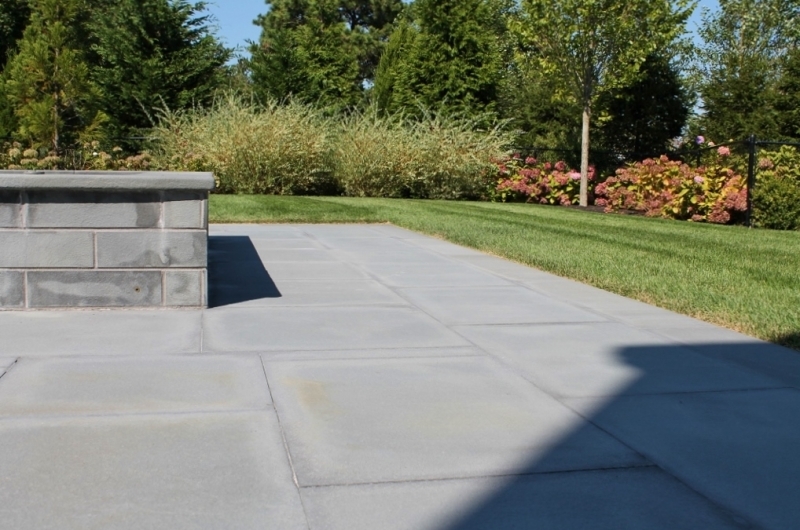 The backyard includes a pool with a bluestone patio and spa. 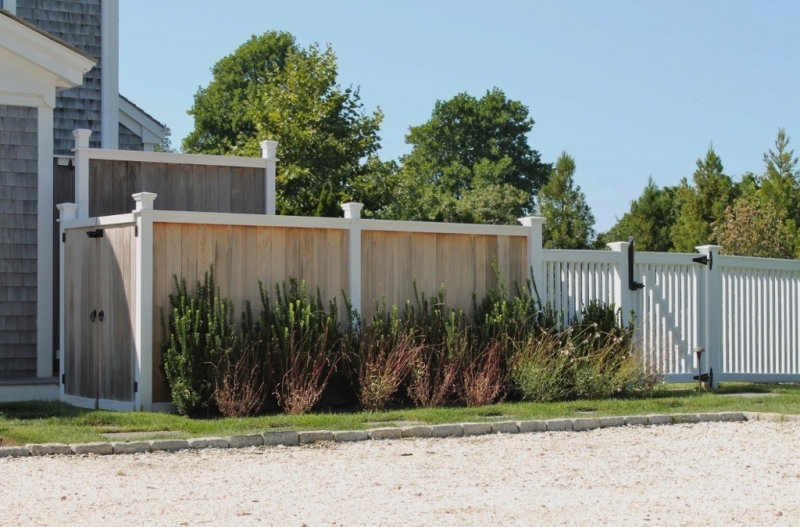 White picket fencing nearest the drive is a classic Cape Cod touch. 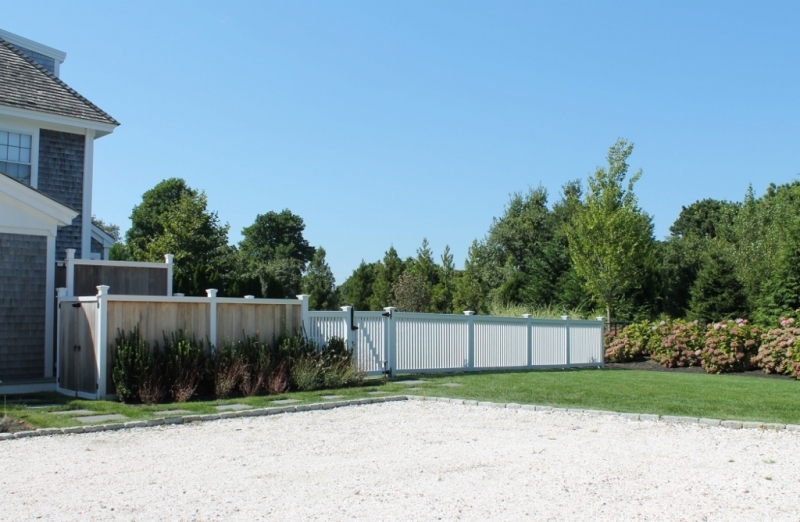 Black wrought iron fencing, which disappears among the lush plantings, completes the remainder of the pool’s required security fence. 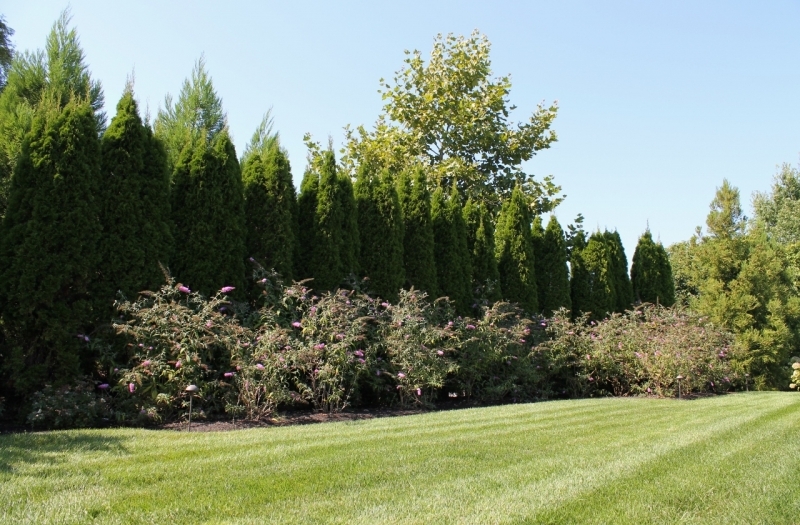 A row of arborvitae trees at the outer perimeter of the backyard offers privacy from a neighboring home.